Planned demolition of a run-down tower block mooted three years ago looks set to go ahead after Birmingham City Council launched a tender process. The 18-storey Norfolk Tower, in Lodge Road, Hockley, was one of eight sub-standard council-owned blocks earmarked for demolition in 2011 as part of a £26 million housing programme. Now, the city council&apos;s construction company Acivico has placed a tender notice seeking a specialist demolition firm to raze the dilapidated, 52-metre tower after it was deemed no longer suitable. The notice says the demolition contract, which has been valued at between £500,000 and £1 million, is due to commence in February and be completed by August. 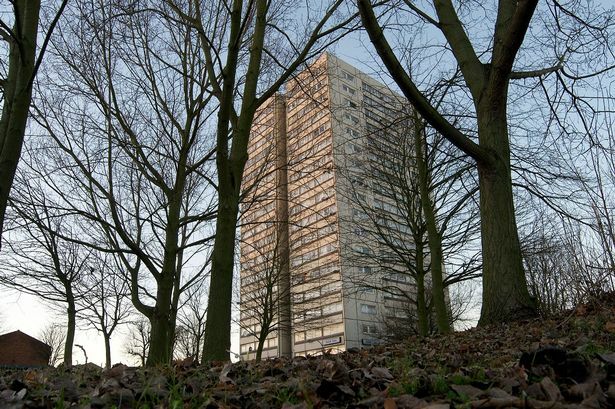 Built in 1971, Norfolk Tower was deemed obsolete by the council in 2011 when it announced its demolition programme. The other seven sites identified in the £26 million programme, which are due to be completed within five years following the announcement, are Barry Jackson and Sapphire towers in Aston, Holbrook and Warstone towers in Hodge Hill, Osborne and Wellesbourne towers in Nechells, Cornwall Tower also in Hockley and Shenley Fields bedsits in Weoley. A further 114 council flats in Kings Norton were included in the programme, bringing the total clearance to almost 1,300 flats which will be replaced by modern family dwellings.